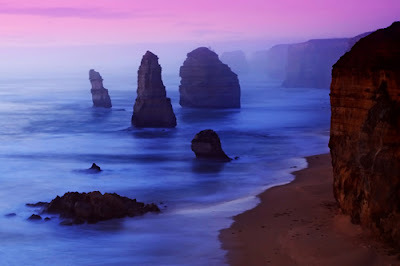 Chosen by Peter Cobcroft, Picture Australia, as the 'Outstanding Contributor' for April 2009. Second time winner of this award. 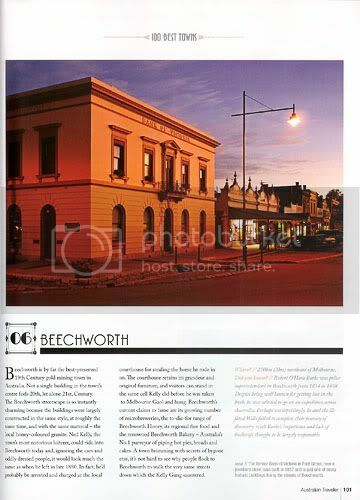 Beechworth photograph published in Australian Traveller magazine by Editor, Greg Barton, for the 100 Best Towns In Australia feature story. 15/1/2009 – Appointed as a RedBubble Community Ambassador in recognition for community service and contributions to RedBubble. Chosen by Ian Smith, Picture Australia Administrator, National Library of Australia, as the Picture Australia ‘Outstanding Contributor’ award winner for December 2008. 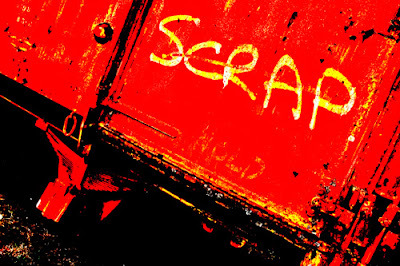 My association with Picture Australia is via my Flickr photographic submissions to the Picture Australia: Ourtown group, and the Picture Australia: People, places and events group. Founder of the Australian Travel Photography and Writing group at RedBubble. Group launch 28/12/08. RedBubble’s success in Grenfell Australia article published by RedBubble on December 27, 2008 for the RedBubble Daily Wrap. RedBubble administration requested a contribution for their 2008 Community Year Book. Founder of the Australian Photographers Alliance - March 2008. Photography contributor to the Australian Photographers Alliance 2009 Drought Relief Calendar. Responsible for the Australian Photographers Alliance’s administration, co-ordination, funds management, promotional copywriting, publicity, marketing, video production, and raising funds for Australian charity Aussie Helpers. Commissioned to photograph pensioner activist, Shirley Grant of Glenroy VIC, for the front page of the Brisbane Seniors, Sunshine Coast Seniors and Gold Coast/Tweed Seniors newspapers. 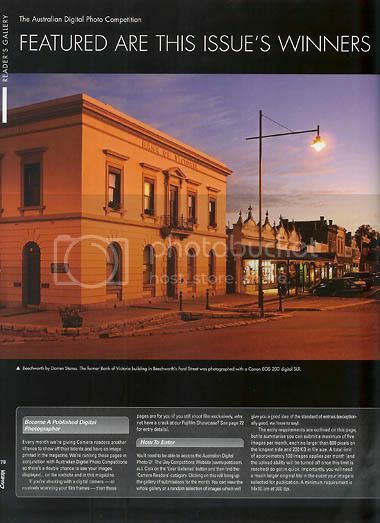 Photograph of the former Bank of Victoria at Beechworth, Victoria, Australia published in the Sept/Oct '08 issue of Australian Camera magazine. Dog Rocks was awarded a Certificate of Merit in the Open Electronic section of the 33rd APS National Exhibition of Photography 2008. Dog Rocks was awarded a Highly Commended in the Open Section of the 2008 Australian Digital Photography Awards. Link to certificate. 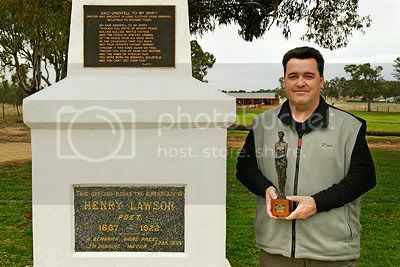 Awarded the bronze statuette for 'Best Photograph of the Exhibition' at the 2008 Grenfell Henry Lawson Festival of Arts photography competition for Dog Rocks. Winner of the Open Colour Section at the 2008 Grenfell Henry Lawson Festival of Arts photography competition for Dog Rocks. 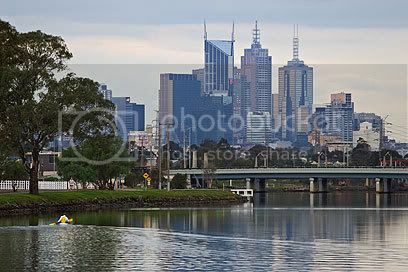 The Melbourne Museum, in conjunction with ENESS, have sought and been granted a 10 year license to exhibit my 'Melbourne' photograph. The image will be displayed as part of the permanent interactive display The Melbourne Story in the Australia Gallery at the Melbourne Museum commencing March 20, 2008. The image may also appear in other associated forms such as website usage, education kits, marketing, publicity and catalogues. My photograph titled 'Dog Rocks' was voted by my peers as the Momento Members choice for October 2007. 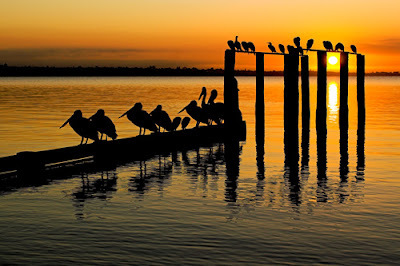 Winning announcement can be found here in the forum at Australian Digital POTD. My photograph titled 'Dog Rocks' was voted by my RedBubble Trees group peers as the avatar to represent the group. There were approximately 270 images entered into the competition. I have been awarded numerous Australian Digital Photo Of The Day awards. Those images can be viewed online at; Australian Digital Photo Of The Day. The inaugural Australian Digital Photography Awards were conducted in 2007 by the Australian Photographic Society. I was successful in having three photographs accepted for exhibition. Breaching humpback whale photograph published in Australian Traveller magazine.